Pardon the triteness, but, a Christmas miracle is in the works! Washington State Department of Fish & Wildlife The Washington State Department of Fish and Wildlife may allow Razor Clamming on Copalis beach during the Christmas holiday. The announcement came last Friday after Copalis passed two successive rounds of marine toxin testing. A final test late this week will finalize the decision. If the go-ahead comes, clamming will be allowed during the evening tide on December 24th, 25th, and 26th. Recently, naturally accruing algae has produced marine toxins which make the consumption of Razor Clams unsafe. These toxins are still present in other ocean beaches, which resultantly, will not be open for clamming. The recent Razor Clamming restriction is yet another chapter in this years continuing story of unsafe algae toxin levels. The 2015 algae bloom is the largest in over a decade, and has produced incredibly high levels of domoic acid. Shellfish can accumulate high concentrations of this acid during filter feeding. If ingested by humans, this neurotoxin can result in brain damage, and even death. 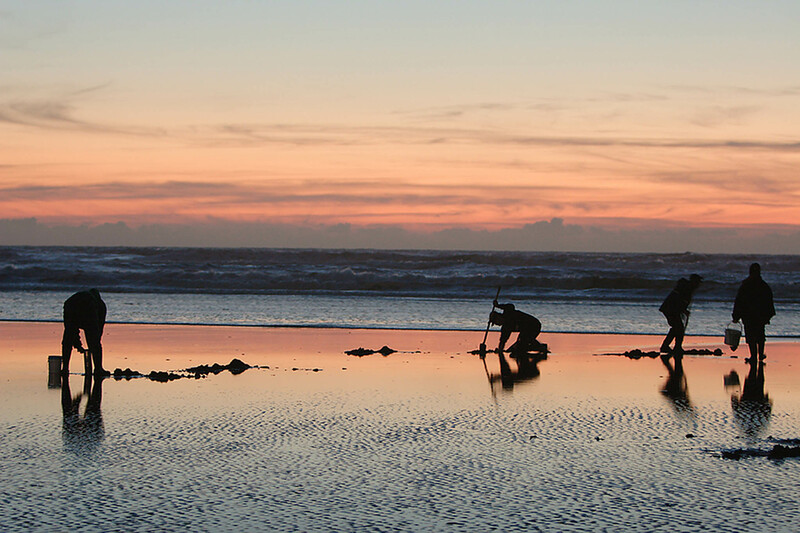 If you’re crossing your fingers for some Razor Clam stocking suffers, make sure you know the main rules: each clammer may only take the first 15 clams their dig, and clammers older than 15 must have a 2015-2016 fishing license.